History- the Downs and the Gorge contain a wealth of History for you to discover, see the links below to start your journey. The Downs, a potted history. The earliest use of the Downs was as farmland in around 1500 BC. The dramatic Clifton Camp was built by the pre-Roman inhabitants probably to guard a vital north-south route crossing the Avon by ferry between Nightingale Valley and Bridge Valley. The Roman built the main road from Bath to Sea Mills across the Downs and this can still be seen. Sea Mills was a major Roman port used as a base for the conquest of Wales. 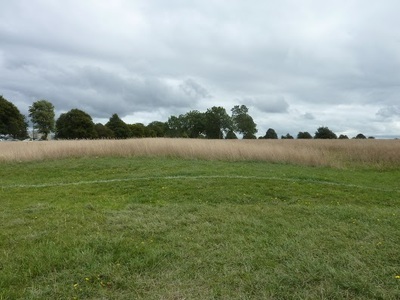 In Saxon times the Downs was the common land between two adjacent parishes, Clifton and Westbury, and in 883 a Saxon charter refers to the still existent Merestones that mark the parish boundary. Both the Parliamentary and Royalist armies used the Downs as the base for an assault on Bristol during the Civil War, and it became an American tank base in 1943 in the build up to D Day. The two ancient routes across the Downs to Westbury and Wales via the Old Passage, and to Stoke Bishop and Sea Mills became part of the Bristol Turnpike Trust in 1727 and avenues of trees were planted along them. The first Downs Conservator was Sir William Draper, who had conquered the Phillipine Islands during the Seven Years War. He was appointed in 1766 and he planted an avenue across Clifton Green to the front door of his house Manilla Hall. Further road improvements came with the building Bridge Valley Road by John Loudon Macadam 1822 and Circular Road in 1875. In 1831 the foundation stone of the Suspension Bridge was laid, though it was not to be opened until Dec. 8th 1864. Huge quarries began to be developed on the surface of the Downs, both for building stone, and to make cement and quicklime, for both of which there was a huge demand. Only the Glen now remains, as all the others were filled with soil from the Docks extensions via a tramway, originally built as an inclined plane in c 1750. The work was not complete until 1883. 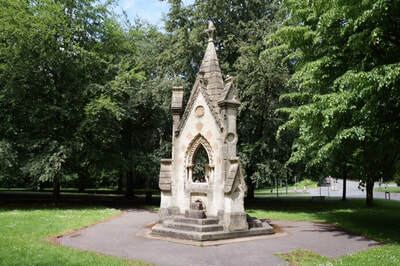 In 1850 the Bristol Waterwarks Company opened the reservoir on the Downs, which received water from Barrow Gurney tanks, via an inverted siphon under the Avon, providing clean fresh water for Clifton for the first time. These developments were encroaching on the common land and in 1861 a private Act of Parliament gave the Downs to the citizens of Bristol. Grazing rights on the Downs remained until 1926, but increasingly the Downs were used for public recreation. The First Gloucester vs England cricket match was played in 1863, with Dr Grace playing for Gloucestershire. The Bath and West show was held in 1874 30,000 celebrated the Golden Jubilee in 1887, and there was a national Agricultural show in 1878. The Downs football league was established in 1905.